from about 7:30 in the morning until Pappy finally came in the house going on 8:00 P.M. Thank you to our son-in-law who came and spread the final pile after he got home from work. I am one tired puppy. Pappy and Nannie are getting way too old for this type of "punishment"!! this is the best I can give!!! 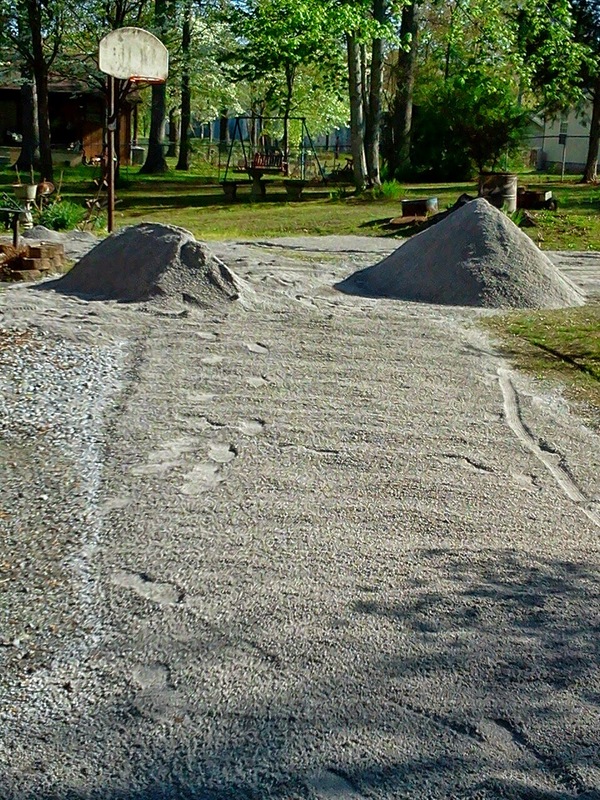 I bet there were some sore muscles involved with all of that gravel spreading. Rest today! WoW ! I can only imagine how sore you must be this morning. Can you even walk? ))smiles)) Hope today brings you lots of rest. That was quite an undertaking! You are hard workers!